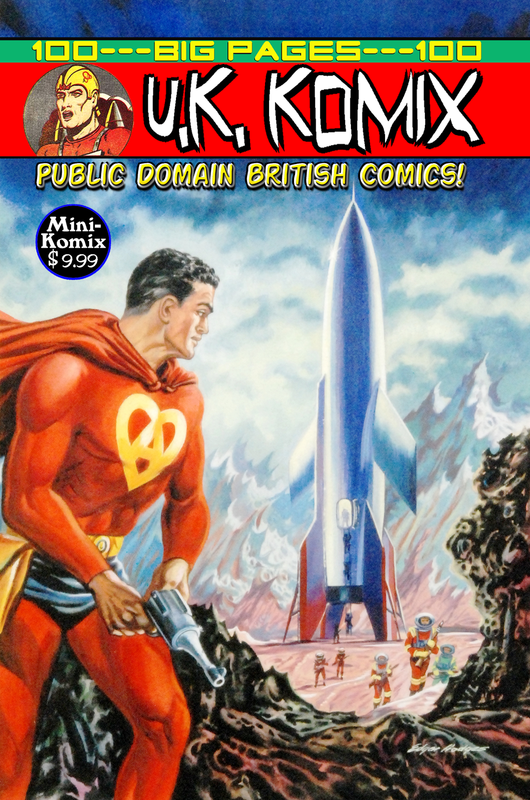 U.K. Komix brings some of the greatest public domain comics from across the pond! 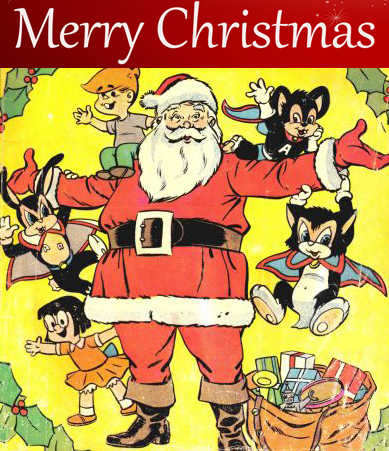 This includes British stars like Ace Hart, Captain Future, TNT Tom, Electro Girl, Cheery Gang, Swift Morgan, Masterman, Splash Page, Thunderbolt Jaxon, and the Scientific Investigation Bureau. 100 Big Pages of Britain's Best! You can order this in print from us, and also at Lulu.com. Klassik Komix goes to the home of the stars for Hollywood Detective! Private eyes in the private lives of famous film makers from the Golden Age of Comics! 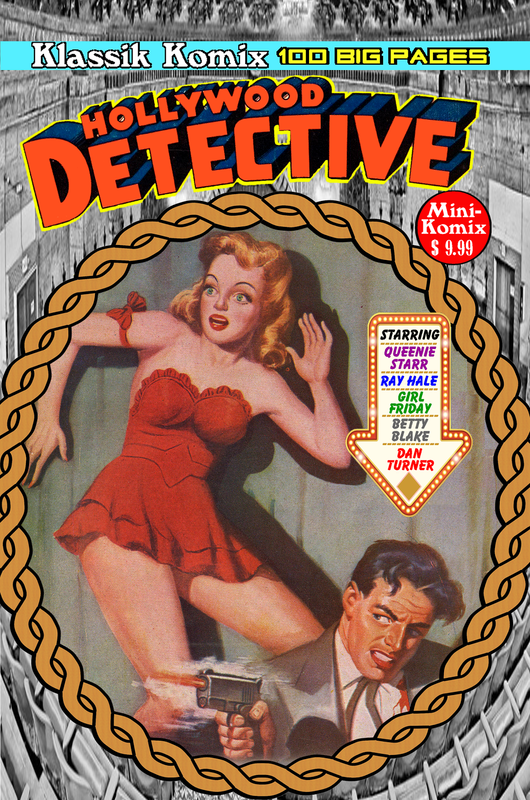 Spicy detective stories starring Dan Turner, Queenie Starr, Ray Hale, Betty Blake, and Girl Friday! 100 Big Pages! It's available through us, and at Lulu.com. 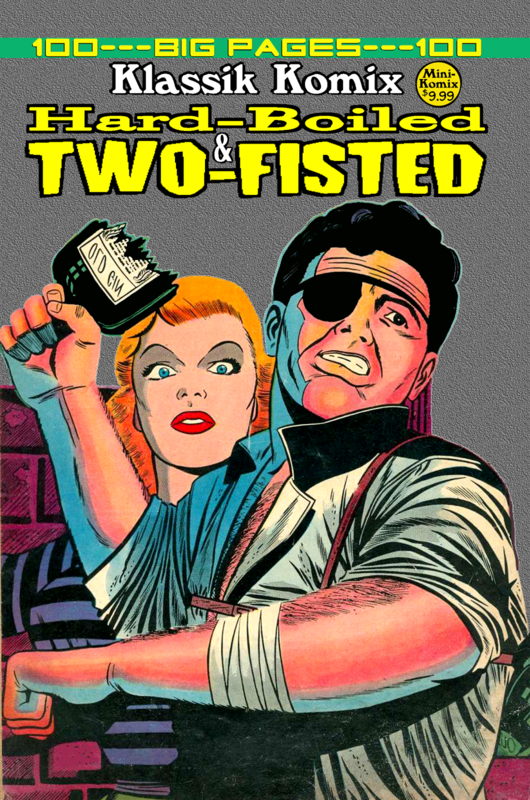 Klassik Komix gets Hard-Boiled and Two-Fisted! Wild westerns, daring detectives, pro pilots, riveting reporters, and torrid treasure trackers! Starring: Billy the Kid, Johnny Dynamite, Davy Crockett, Mike Tip, Lt. Brooks, Trigger Jackson, Ray Hale, ZX-5, Wild Bill Pecos, Fearless Frank, plus The Frog Boys! Action, adventure, and unbridled awesomeness with these Golden Age alumni! 100 Big Pages! You can order this through us, as well at Lulu.com.